God’s Word tells us to hide Scripture in our hearts (Psalm 119) and to teach it to our children constantly (Deuteronomy 6). As parents, there is really nothing more valuable for us to do for our kids, is there? Introducing them to God, the Creator; his Son, their Savior; and the Spirit, their Helper through the Truth, his Word, is an honorable job. What’s more exciting than seeing your children grasp the love that God has for them? Now, admittedly, this hefty task can be daunting. Here are three helpful tips to consider. Don’t be intimidated or underestimate what a child can grasp from an early age. You’d be surprised what they’ll come away with in regards to Bible stories and concepts! 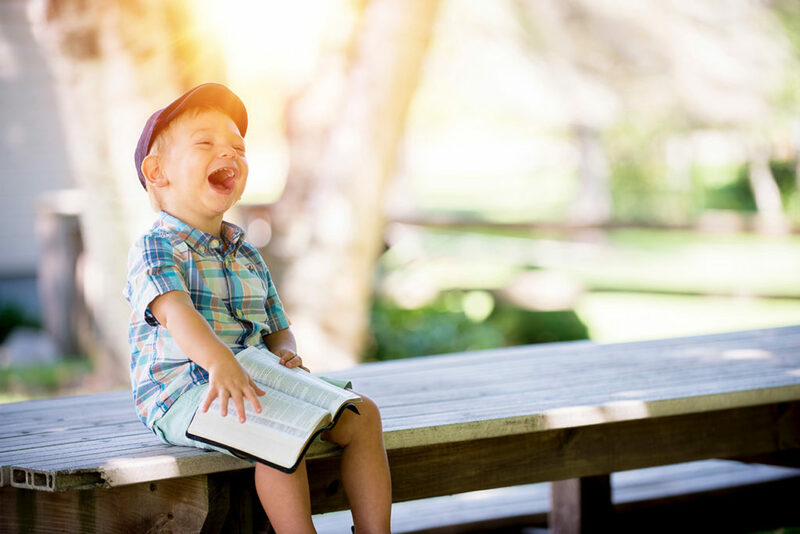 It is important to recognize how your children understand God and Scripture as infants, toddlers, preschoolers, young children, older children, and beyond. By being mindful of what they can grasp at each age, you are more empowered to not only have appropriate conversations with them but also to teach them truth that will become foundational to their faith. It’s never too early to start. Even in the first week of life, speaking about Jesus to your child is valuable. Read Bible stories, speak his Word, and pray over your children. Let Jesus be a normal daily subject in your home, expected and loved by you and your children. Choose a time to read the Bible together as a family and stick to it. Put it on the schedule like you would soccer practice or ballet classes. Kids will learn to anticipate this time. Make it engaging; bring additional resources to the table that help guide the discussion like a family devotional, or a Bible containing pictures. Memorize verses together as a family. Ask your older kids to retell the story in their own words or act it out dramatically! Remember to emphasize that the Bible is more than a collection of a bunch of small, recognizable stories. It’s bigger than Noah and Moses. It’s more than David and Goliath. It’s the story of how God had a plan from the beginning to redeem his beloved to himself. Make it a priority, and they’ll grow up to place it as important in their own lives and the lives of their families. As most parents have experienced at some point (maybe to the point of embarrassment), kids mimic what they see and hear. Allow your kids to witness you reading and studying the Bible. Talk to them about how you seek and find answers in Scripture when you aren’t sure or are feeling fearful or want to know what God says about a particular topic. Teach them that when they want to know what is true, that they can seek the answer in God’s Word. Talk about when you decided to follow Jesus, apologize when you sin against them, and pray with them. Discuss their doubts and tell them that you have doubts sometimes, too. Talk about how you cling to his promises when a day is hard and how you praise him for the blessings he gives you and your family. Regardless of how old your children are, it’s never too late to introduce them to God’s Word—truth that will carry them throughout their lives and that will not return void!